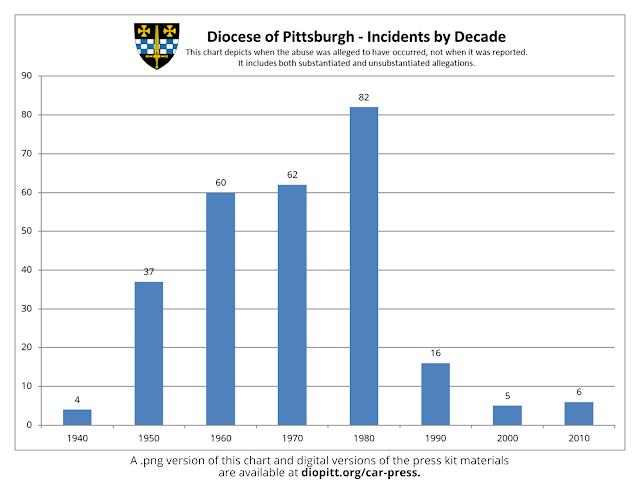 At a news conference shortly after the release of the “Report of the 40th Statewide Investigating Grand Jury,” Bishop David Zubik of the Diocese of Pittsburgh expressed his concern for victims of child sexual abuse by clergy, spoke of 30 years of diocesan efforts to end and prevent such abuse, and pledged to take any steps needed to strengthen those efforts. 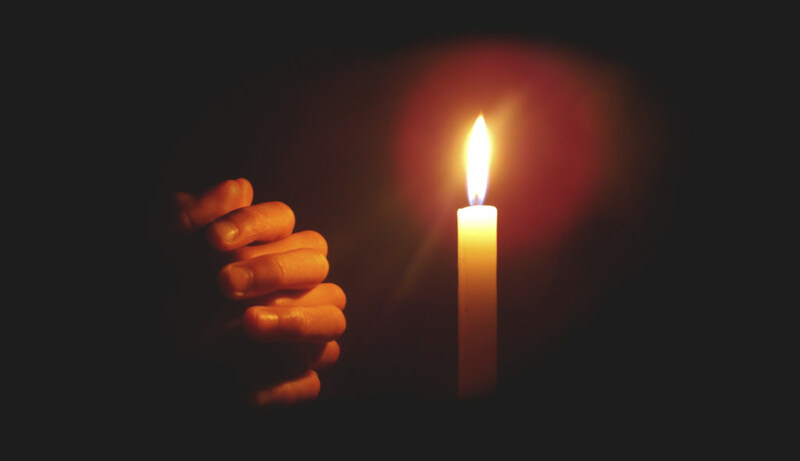 “Ever since I first met victims of clergy child sexual abuse in 1988, I have seen the immense pain that this crime causes to its victims, to their loved ones and to the heart of Jesus,” Bishop Zubik said. “I have cried with them and for them over the damage done to them and their families by men whose lives should have been committed to protecting their souls from harm. 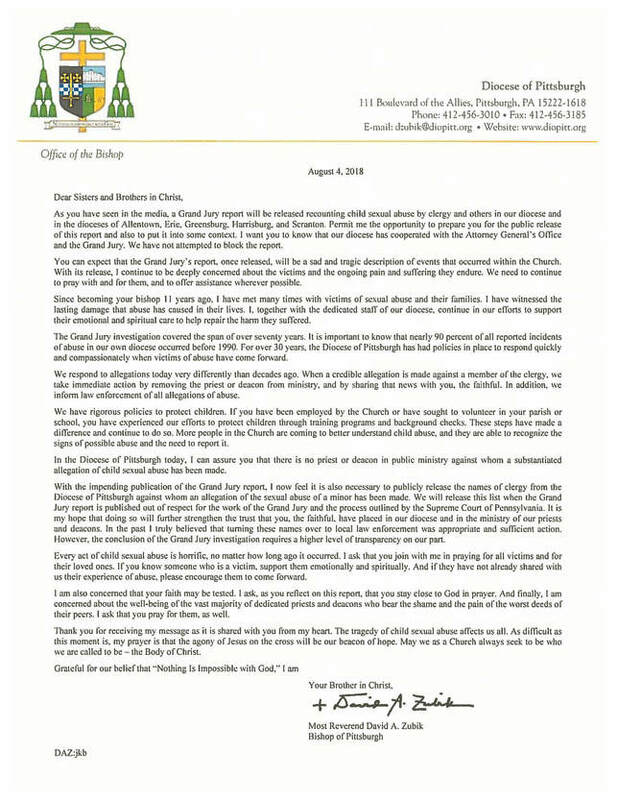 I dedicate myself to helping them and to doing everything possible to prevent such abuse from happening again.” Bishop Zubik also offered an apology for the instances when the Church did not respond effectively to victims. “We cannot bury our heads in the sand,” Bishop Zubik said. “Swift and firm responses to allegations should have started long before they did.” While apologies are important, he said, “it is not enough. 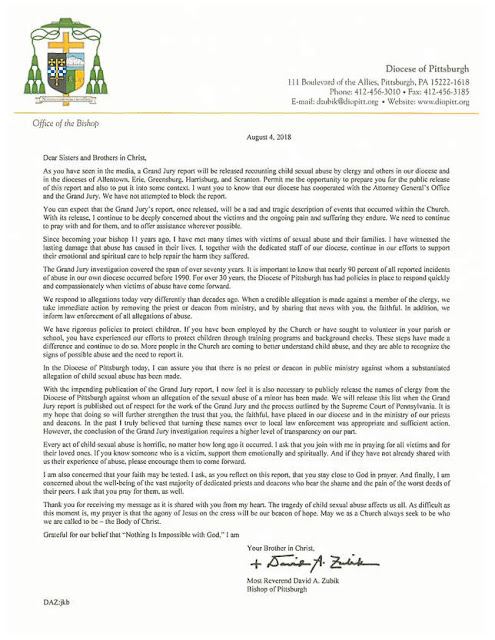 Continued action is necessary.” He then reviewed many actions that the Diocese of Pittsburgh has taken over three decades to end child sexual abuse and respond to victims. The bishop stated that at least 90 percent of all reported child sexual abuse by clergy in the Diocese of Pittsburgh occurred prior to 1990.